a couple of weeks ago, some gal pals (hi, carly & ilana!) 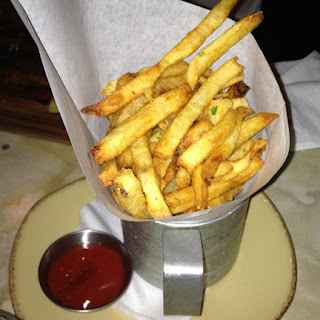 & i decided that some end-of-work-week eats & drinks were in order. so we headed to the obvious choice : outdoor seating at hubbard inn. a bit about this lovely place : "hubbard inn features european inspired small plates, quintessential mid-century cocktails & old world decor." beautiful. also, when hubbard inn first opened, the rumor was that it was somewhat hemingway inspired ... so i was definitely looking forward to seeing what was up. walnuts, pickled blackberries & shallot vinaigrette. 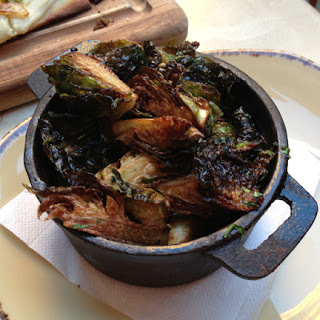 i'm incapable of seeing kale on a menu and not ordering it. and since my darling carly also suffers from this kale-salad-loving affliction, we had to get it. pickled blackberries aren't your everyday fare and they were delicious. 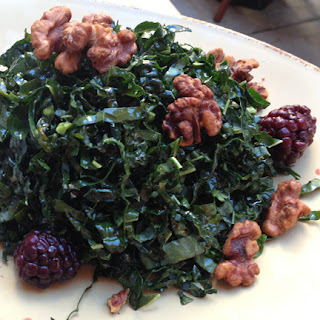 great w/ the crunchy walnuts + fresh kale. ain't nothing to complain about when it comes to fried brussels. delish. onions, bell peppers, asparagus & greens. i snarfed this puppy. 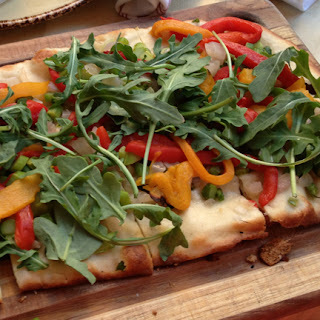 fresh veg + fresh flatbread perfection. these were a last minute addition ... crispy & fresh ... the two main requirements for actually good french fries.